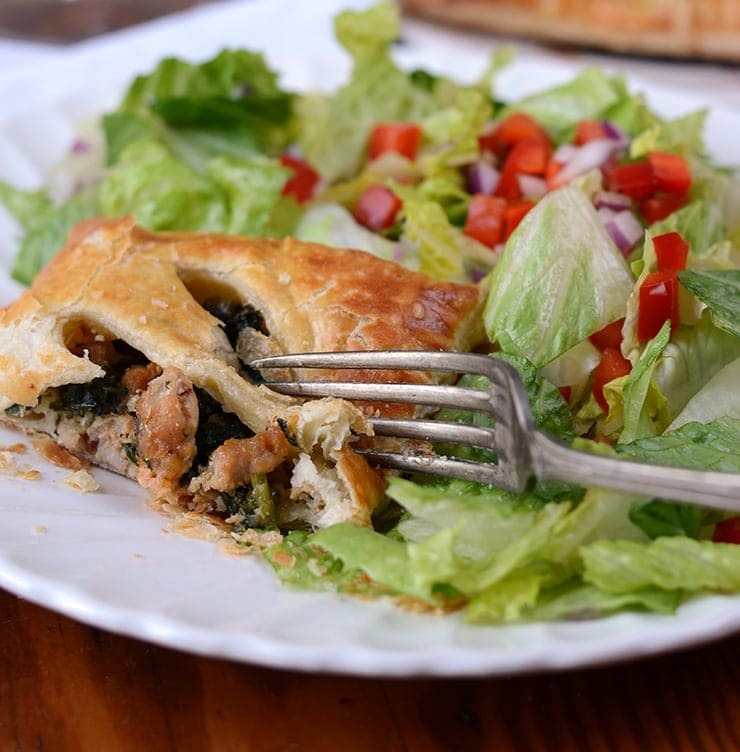 Sausage and Kale Puff Pastry Pockets are a fast and tasty meal for breakfast, lunch or dinner. 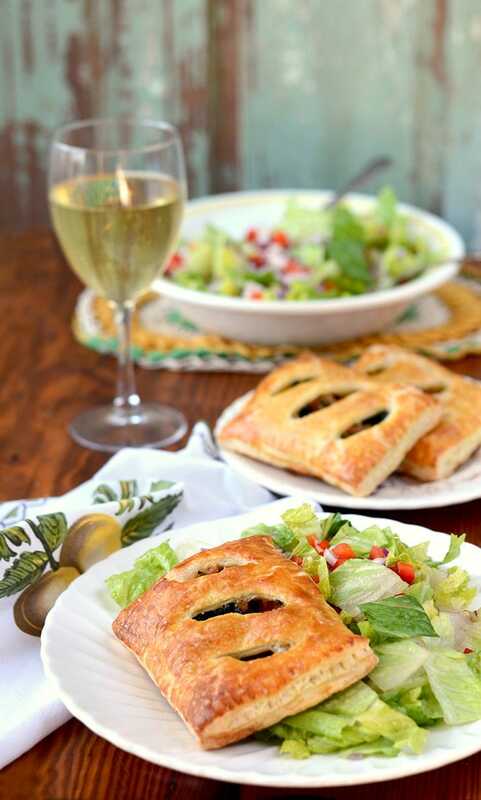 Ideal as a make-ahead meal, these puff pastry pockets can be baked from frozen, making meal time a snap. If you haven’t planned ahead, no worries! They go from stove to table in about 50 minutes. Things have been very busy lately, so although my instinct is to make slow food, I’m challenging myself to develop some fast recipes. It’s something I used to be really good at, but years of working from home has allowed me to indulge my gourmet fantasies. But recently fitting everything in has become an impossible task. From having family time, to taking care of my geriatric dog, to having time for exercise, something had to give…and it was usually breakfast and lunch! 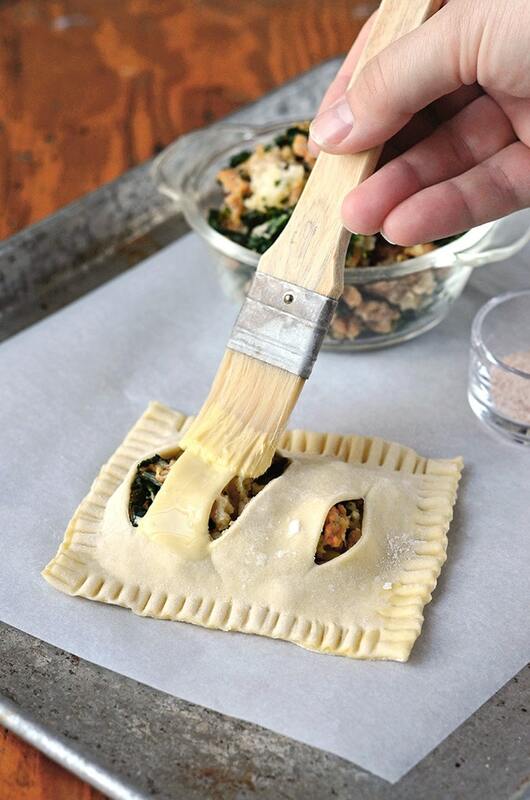 So when the idea of puff pastry pockets came to mind, I knew I was on the right path. 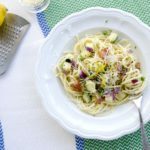 Enter this very easy, but also elegant and tasty recipe. 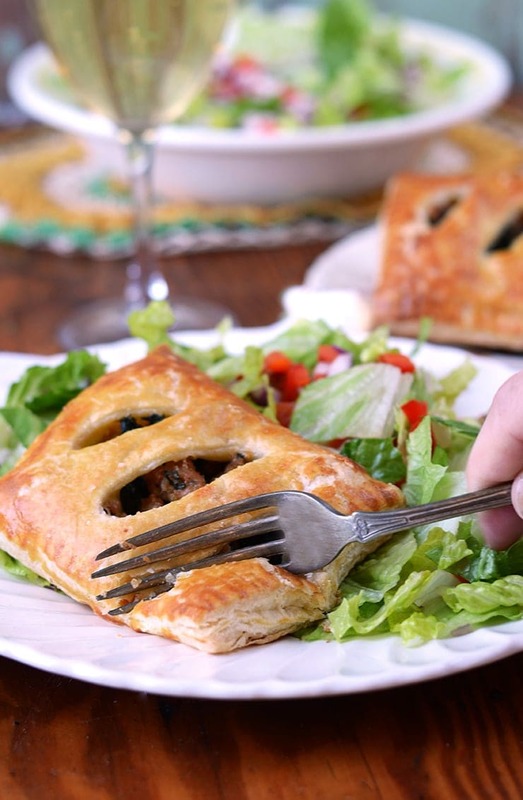 Puff pastry makes everything taste delicious! And in pocket form, it becomes an envelope for an on-the-go meal. Add in some simple ingredients, in this case sausage, kale and cheese, and you have a crowd-pleaser. But more importantly, this is a practical recipe. The great thing about puff pastry is that it bakes really well while frozen. So, I made a batch of these and froze them for quick meals. I’m embarrassed to say that I’ve had one for breakfast or lunch every day for almost two weeks! 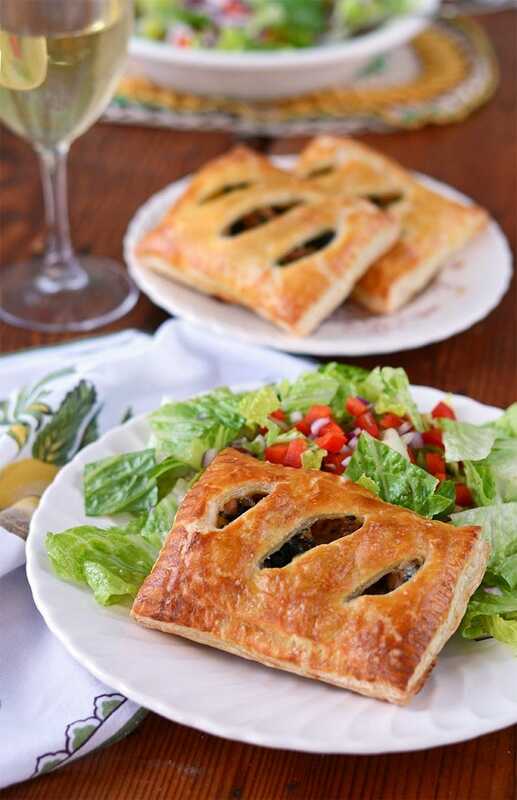 Not just because these Sausage and Kale Puff Pastry Pockets are convenient. but because they are delish! I used an Italian chicken sausage that has kale in the mix, so I decided to add in more fresh kale and of course cheese! Cheese makes everything better so Parmesan and mozzarella had to be in the filling. For breakfast, I suggest a healthy helping of fruit as a side and for lunch a small salad. For dinner, a side of veggies is the perfect accompaniment. 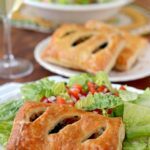 However, and whenever you serve these Sausage and Kale Puff Pastry Pockets, you are going to love the flaky crust and savory filling. I like to freeze these for quick meals, They easily bake from frozen in the toaster oven. In a large skillet or dutch oven, heat olive oil over medium high heat. Remove sausage from casings and cook, stirring often and breaking sausage into small crumbles. Meanwhile, wash kale, remove large stems and coarsely chop. Once sausage is cooked, add in kale and cook until just wilted. Flour work surface and roll out one sheet of puff pastry to about 15 inches square. Using a knife or pizza cutter cut the sheet into 9 squares. In a small bowl, whisk together the egg and milk to make an egg wash.
Add cheeses to sausage mixture and season with salt and pepper to taste. Take one of the squares and paint the edges with the egg wash.
Place about a quarter cup of filling in the square and top with a second piece of puff pastry. Crimp the edges with a fork and make a few slits in the top with a knife. Repeat with the remaining filling and pastry. It should make about 18 pockets. Place the pockets on prepared baking sheet, cover with egg wash and sprinkle with salt. 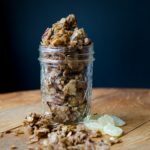 For make-ahead meals, freeze pockets in an airtight container, being careful to place wax paper or parchment between pockets so they don't stick together. Just before baking, paint with egg wash, or if just making one, a little oil or butter will do the trick. Bake at 350F from frozen for about 25 minutes. 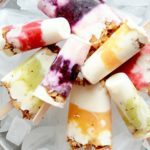 Made with fresh fruit, creamy vanilla yogurt and homemade granola, these Fruity Yogurt Parfait Popsicles will cool you down any time of day.